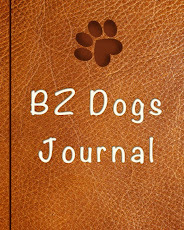 BZ Dogs: What me, Spoiled? 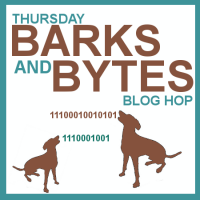 Dog Blog Post #467: The picture above was taken a few days ago in response to the VERY FIRST prompt ("What me, spoiled?") in a brand new flickr group called Daily Dog Challenge, which Zachary, Henry and Bunny (over at Tales and Tails) started up just this week. 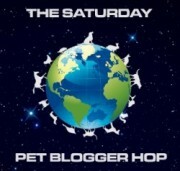 Daily prompts to encourage dog lovers to get out and take pictures of their favorite furry friends. Do you have a dog and a camera? Do you enjoy taking pictures of your canine companion or would you like to improve your dog photography skills? We're a friendly group of dog lovers who enjoy taking pictures of our dogs almost every day. If you'd like to challenge yourself to try some new things or teach yourself some photography skills with your dog, this is a great place to join. 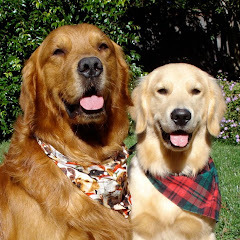 We want to help each other to become better photographers and to enjoy taking photos of our best furry friends. We won't judge you, we'll just support you as you learn along the way with us! For those not familiar with Flickr, it is a free photo sharing site. I believe all you need is an equally free Yahoo! account to join. If you want to grab your camera and join us, we can be found at Daily Dog Challenge - all are welcome! #4. Finally Friday - "We all look forward to the weekend or our time off, and we all have our ideas about how to spend that time. 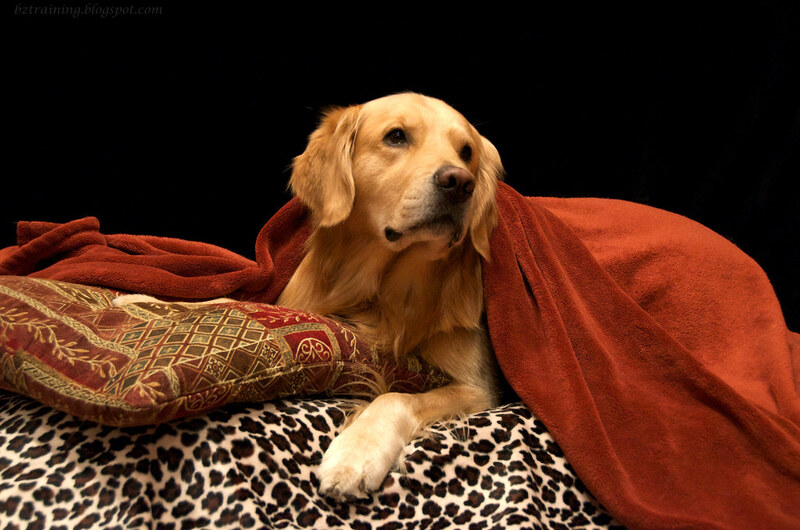 What is your dog's idea of a perfect Friday night?" ... would Zachary have it any other way? 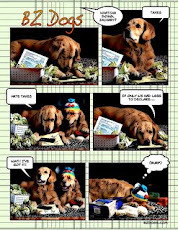 OMD - I love the last picture! How great is that? 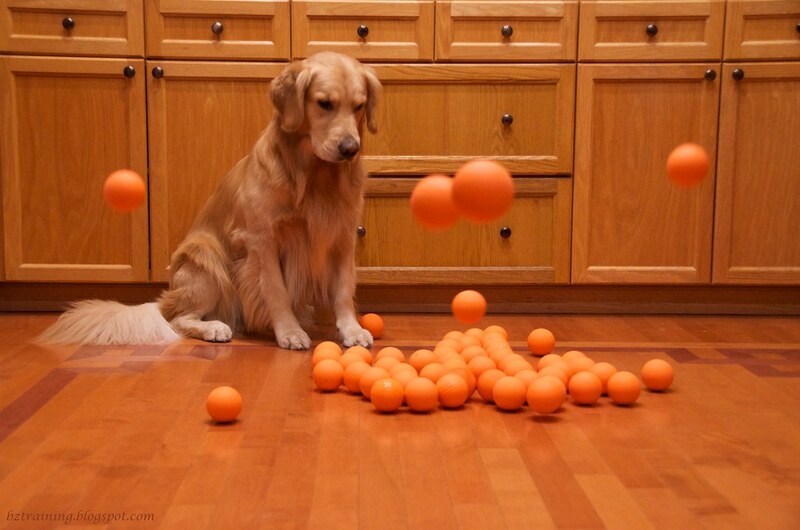 I'm loving the last picture, and impressed that your dog's head is not exploding due to the gazillion moving balls. spoiled and golden do not belong in the same title! !..and as for balls?..so many balls so little time!! Love both pictures, but my goodness, you look so cool and calm w/all those balls bouncing! Now that's a party! I love that pic of you watching them balls. Let's play! You already know I love both of those pictures! You always have the best ideas for interpreting prompts. After this post, I can see why we had several new members join today, too! That photo with the balls is amazing. I'm totally impressed that he hasn't put 4 of them in his mouth and started running.